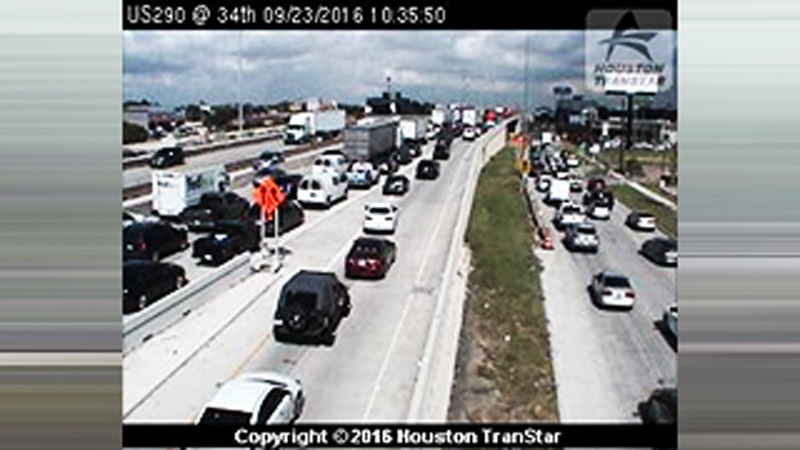 HOUSTON (KTRK) -- US-290 Northwest westbound at Antoine Drive is shut down after big rig mishap. The outbound traffic is at a stop because the 18-wheeler can't navigate the lanes. The driver is now backing the rig down the highway.